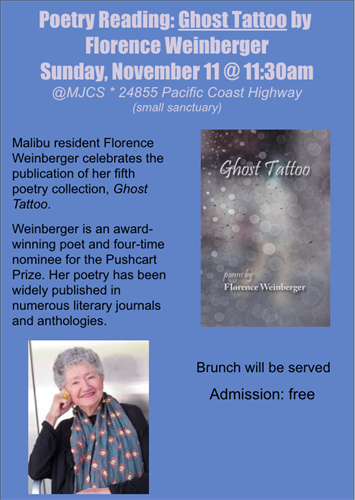 Malibu resident Florence Weinberger celebrates the publication of her fifth poetry collection, Ghost Tattoo. Weinberger is an award-winning poet and four-time nominee for the Pushcart Prize. Her poetry has been widely published in numerous literary journals and anthologies.